Strohsacker ’06 Leads Eagles PR Team into Super Bowl LII Brett Strohsacker ’06, who played soccer and majored in mass communications at W&L, has worked his way to the top of the Philadelphia Eagles PR team. 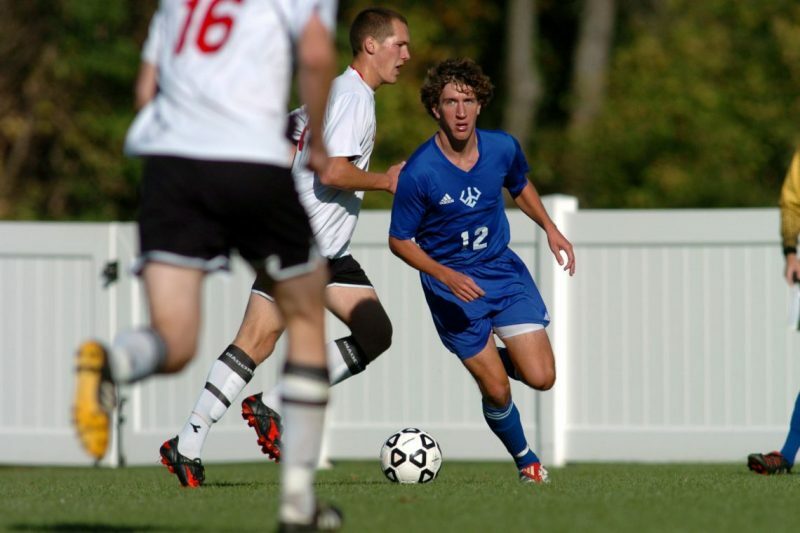 Brett Strohsacker ’06 is pictured on the soccer field for W&L. He is now PR director for the Philadelphia Eagles as they head into Super Bowl LII. Every year, the Super Bowl is among the most covered media events in all of sports. This year’s game in Minneapolis will draw nearly 4,000 individual media outlets to cover the National Football League’s Championship game between the New England Patriots and the Philadelphia Eagles. Much of the work goes on behind the scenes, performed by an army of public relations professionals that coordinate interviews and provide information so that media outlets can keep fans informed. At the center of this week’s media activities, and behind the scenes, will be one of Washington and Lee’s own, Brett Strohsacker ’06. Strohsacker serves as the Eagles’ director of public relations. A member of the varsity soccer team at W&L, Strohsacker was a two-year letter winner who graduated with a degree in mass communications. He is a native of Wynnewood, Pa., in the Philadelphia suburbs. Strohsacker’s journey to the Super Bowl began when he accepted an internship with the Baltimore Ravens’ public relations staff shortly after graduating from W&L. He served in that role for one year before an opportunity arose with his hometown team. Strohsacker was hired as a graduate assistant in the public relations office and was promoted to public relations coordinator after two years with the team. He was again promoted, to public relations manager, in 2013, then took over as the team’s director of public relations in May 2017. 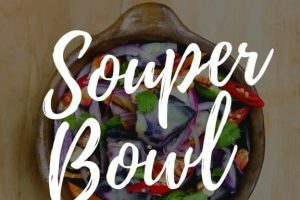 The pressures on a professional football team’s PR staff are great throughout the year and are magnified as the playoffs begin, culminating in the Super Bowl, one of American sports’ greatest spectacles. Strohsacker was so busy leading up to the big game that he did not have time to talk, but fellow Washington and Lee alumnus Pete Abitante ’78 offered his take on the pressures facing Strohsacker as he prepares for Sunday’s big game. Abitante served in the NFL’s public relations department for many years before advancing to his current position of vice president and special assistant to the commissioner of the NFL. “Making the playoffs and advancing all the way to the Super Bowl is what every member of an NFL team’s PR staff dreams about,” said Abitante. “With each playoff victory comes increasing expectations, interview requests during the week and, if you’re the home team, more media requesting credentials than you ever knew existed. It is unlikely that your press box can accommodate everyone, so you have to plan to use and service auxiliary areas in the stadium. “As the team moves deeper into the playoffs, the PR director plays an even greater role as the buffer to the head coach,” Abitante added. “When your team becomes a national story – as the Eagles have this season – the number of media requesting time with the head coach – and assistant coaches and key players – grows exponentially. The PR director has to be sure to accommodate NFL network partners plus local and national media requirements. All coaches try to limit ‘distractions,’ and the best PR directors work in that manner as well. For Strohsacker, that experience could also include being an integral part of the Eagles’ first-ever Super Bowl Championship.